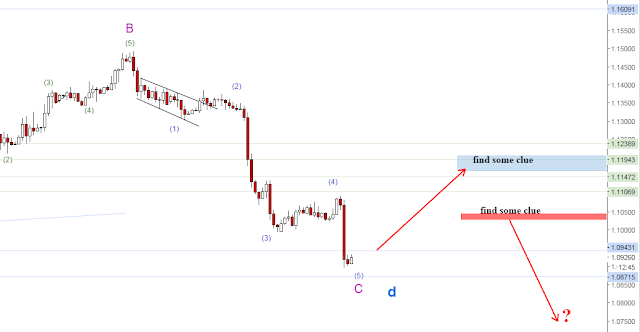 my elliot wave count shows that the price is just completed its 5 wave cycle. on the higher degree of wave.it completed also the 3 wave of wave C correction. while also move down to the d wave triangle in higher degree. the rsi aslo shows that the price are in the oversold value. we will find the clue on the candlestick formation on the resistance area of 1.1195 and 1.1035.if ther are rejection candle on the area. i will look the opportunity to go short.